We’re celebrating the 40th anniversary of Star Wars! The “little” sci-fi film that came out in 1977 has spawned an intergalactic media franchise that is just as popular today as it was 40 years ago. Being that it’s the 40th anniversary of Star Wars, we’re continuing the countdown of the 40 greatest moments in Star Wars films and TV. 20. 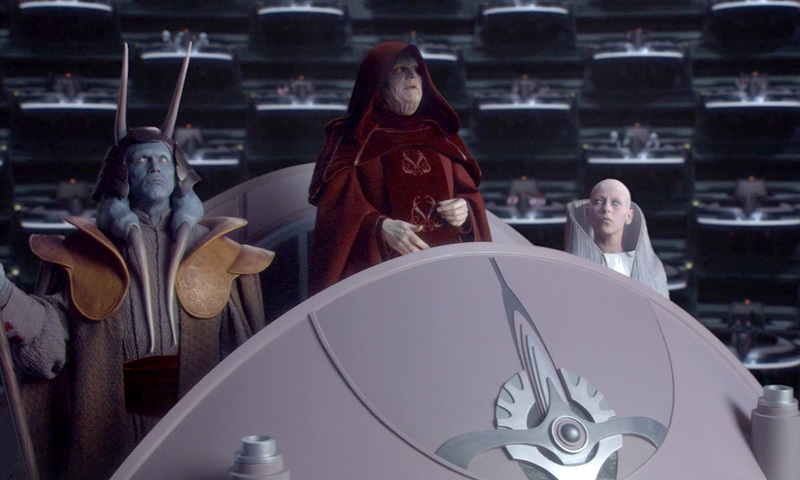 Emperor Palpatine Forms The Galactic Empire (Star Wars Episode III: Revenge of the Sith): We, and many of the film’s characters, watched with horror as the disfigured Chancellor Palpatine used a failed attack upon him by Jedi as an excuse to dissolve the crumbling Galactic Republic before cheering throngs. What made this moment so unsettling to watch was that it can be compared to real-life events in our history. 19. 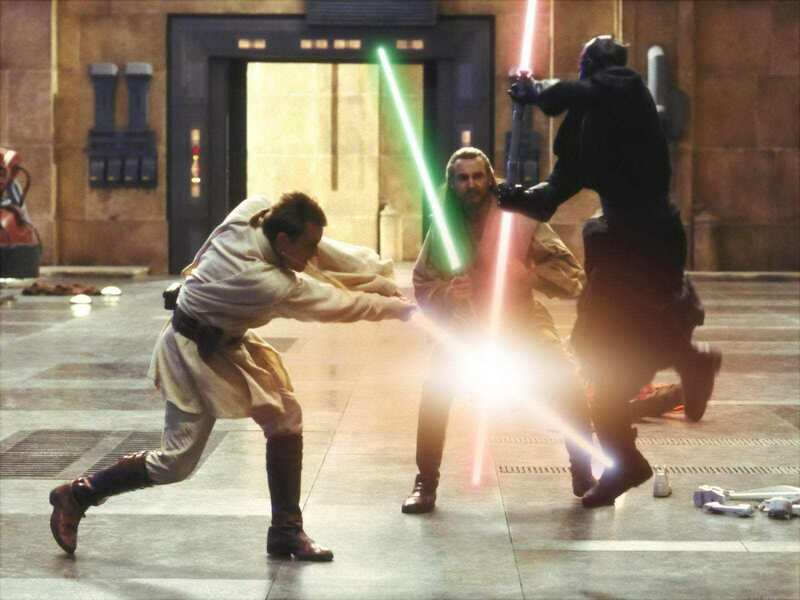 Obi-Wan Kenobi and Qui-Gon Jinn vs Darth Maul (Star Wars Episode I: The Phantom Menace): Say what you want about the flawed Star Wars prequel, but it had one kickass lightsaber duel. Buttressed by green screens and John Williams’ rousing, operatic soundtrack the deadly duel between the Jedi Knights and Darth Maul was wild, exciting and undoubtedly the best moment in the film. 18. 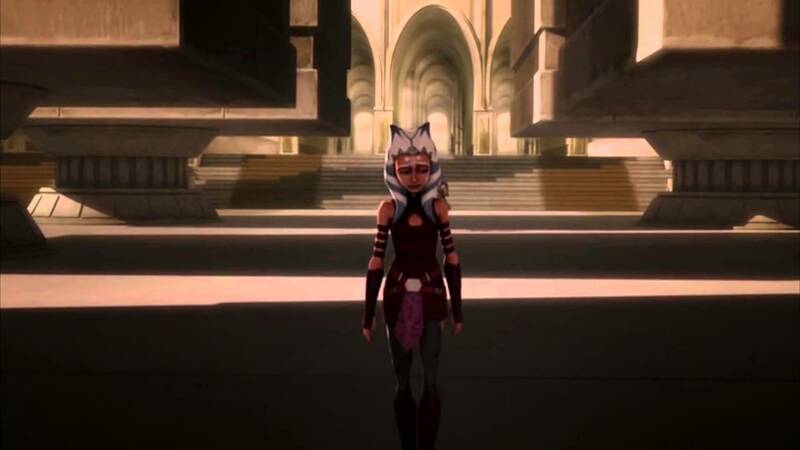 Ahsoka Leaves The Jedi Order (Star Wars: The Clone Wars “The Wrong Jedi”): In the final episodes of the fifth season of Star Wars: The Clone Wars, Ahsoka Tano, Anakin Skywalker’s Jedi apprentice, had been framed for murder. After much ordeal, Ahsoka was cleared, but she was so disillusioned with the Jedi Order that she chose to leave it at the end of the last episode. This turn of events was frankly surprising and deftly sets up Anakin’s own disillusionment with the Jedi later on. 17. “Aren’t You A Little Short For A Stormtrooper?” (Star Wars Episode IV: A New Hope): When Luke Skywalker disguised as a stormtrooper bursts into Princess Leia’s prison cell on the Death Star, her first words to him were unexpected. Instead of being fearful or excited, she comes off as nonchalant and unimpressed with her liberator. 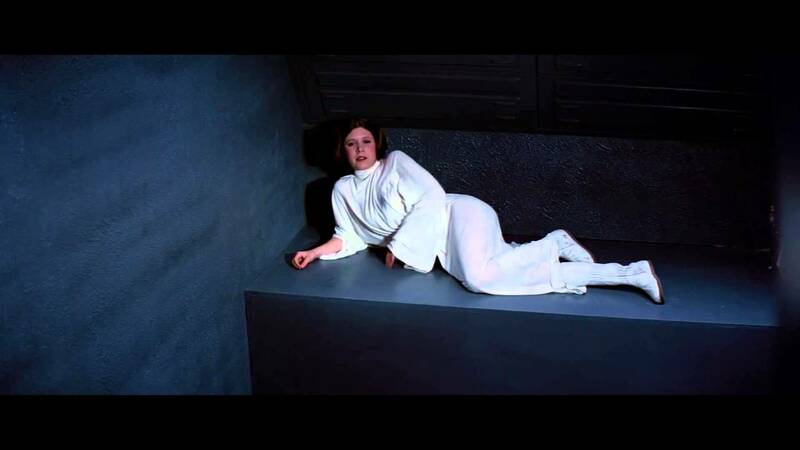 Throughout the film Leia displayed spunky bravado and put up a steel front even as a prisoner. This savvy attitude perfectly summed up Princess Leia, who dispelled the cliché of being the damsel in distress. We knew that no matter what she could take care of herself. 16. The Battle of Hoth (Star Wars Episode V: The Empire Strikes Back): The very first Star Wars sequel set a darker, more ominous tone which was foreshadowed in the first acts’ climatic battle. 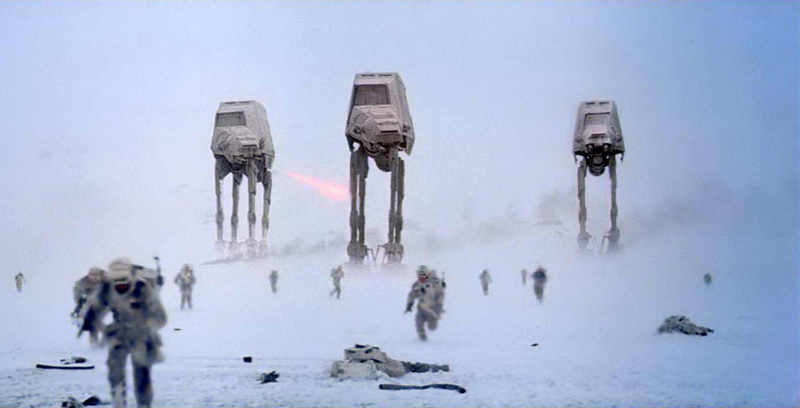 Rebel forces were forced to evacuate their base on the frozen world Hoth and brave fighter pilots and troops, including Luke Skywalker, desperately tried to hold off imperial metal, behemoth walkers. It was soon clear that the Rebels were outmatched by the superior forces and the one-sided battle was disheartening, yet exciting, to watch. 15. Yoda’s Vision Quest (Star Wars: The Clone Wars “Vision”, “Destiny” “Sacrifice”): In the series finale, Jedi Master Yoda goes on a spiritual retreat because he is troubled by the Clone Wars and the rise of the dark side of the Force. His insightful visions during a visit to a Sith planet let him (and the viewers) know there was more to the Force than he knew. He realized that waging war was not the answer to bringing balance to the Force and that the Force was much more multi-layered than just good and evil. This, and Yoda’s vision of a true Chosen One, was a poignant way to end the series. 14. Han Shoots First (Star Wars Episode IV: A New Hope): In the original and true version of the first Star Wars film Han is cornered at the cantina bar by the bounty hunter Greedo, who has come to collect Han’s debt owed to Jabba the Hut. 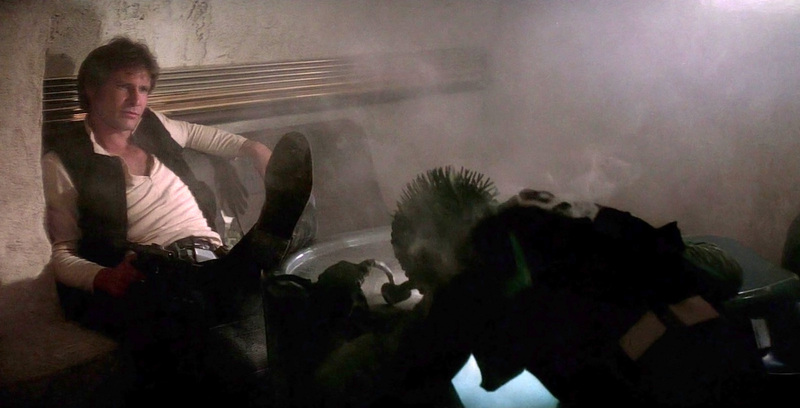 From the testy conversation, Han knew Greedo was going to shoot him so he beat the bounty hunter to the punch and underhandedly shot him dead. Pure badassery and it sets up perfectly Han’s eventual redemption later in the film. 13. Darth Vader Saves Luke Skywalker (Star Wars Episode VI: Return of the Jedi): Following the climatic lightsaber duel in Return of the Jedi a victorious Luke refused to kill his father Darth Vader and to submit to the dark side of the Force. 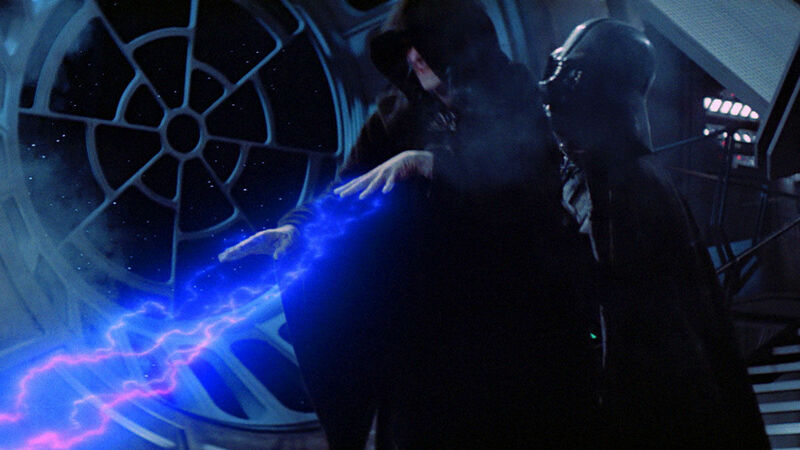 In response, Emperor Palpatine attacks Luke with vicious lightning attacks. Luke was helpless under the savage assault while Vader stood by passively. At this point, Vader made a life-changing choice and turned against the Emperor. This cost Vader his life, but his final act saved Luke and put him on a path of redemption as he rejected the dark side of the Force. This moment made Vader much more layered and somewhat of a tragic figure instead of a one-dimensional villain. 12. Darth Vader Goes Medieval (Rogue One: A Star Wars Story): This moment came in the closing scenes of Rogue One and neatly segued the way into Star Wars Episode IV. After the Rebel flagship received the plans for the Death Star, it was prevented from escaping and boarded by Darth Vader. As the frantic Rebel troops tried escaping onto another ship with the plans, Darth Vader silently cut through the hapless soldiers with his red lightsaber being the only source of light. The way he so viciously and quickly killed the troops was both frightening and awe inspiring. The scene demonstrated how deadly Darth Vader was as he displayed his mastery of the Force. 11. Order 66 (Star Wars Episode III: Revenge of the Sith): Perhaps the darkest moment ever seen in a Star Wars film was when Emperor Palpatine ordered the Republic’s clone troopers to turn against the Jedi. One by one, we witness heroic Jedi taken by surprise and slaughtered by their own forces. Underlining the gravity of these acts were John Williams’ haunting score, Yoda’s pained reaction at feeling all those sudden deaths and Anakin Skywalker coldly murdering young children, who were training to be Jedi (thankfully this happened offscreen). 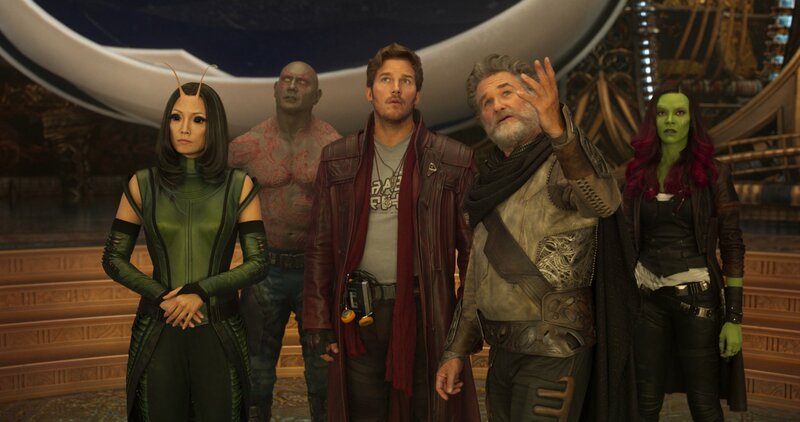 In the second Guardians film, the title characters split up and go off on their own separate adventures in smaller groups and meet other people. 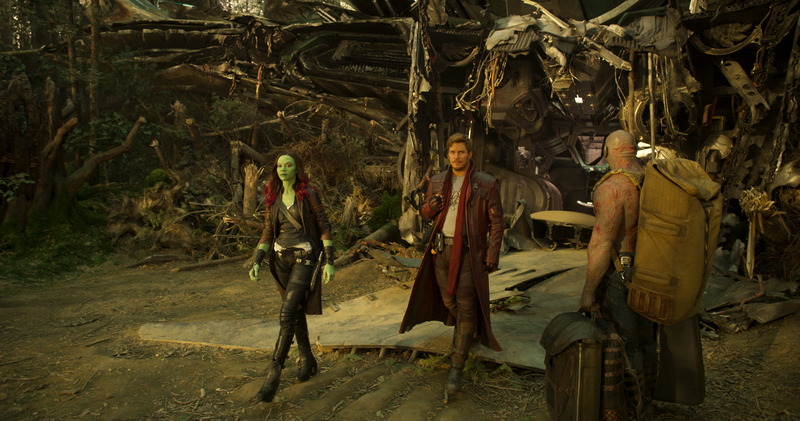 Peter Quill, aka Star-Lord takes off with Gamora and Drax to join his newly found father Ego and later meets Mantis. When they leave with Peter’s father, Rocket Raccoon and Baby Groot are left with Gamora’s sister Nebula (who is at this point a prisoner instead of a full-fledged Guardian). The remaining trio then meet up with Yondu and his Ravagers. This encounter leads to Yondu’s powerful story arc, while Peter learns about his heritage. A similar plot device was used in The Empire Strikes Back where after abandoning the Rebel base on Hoth, Luke Skywalker and R2-D2 go to Dagobah and meet the Jedi Master Yoda. As this happens, Han Solo, Princess Leia Organa, Chewbacca and C-3P0 spend most of the film evading Darth Vader and his imperial forces. 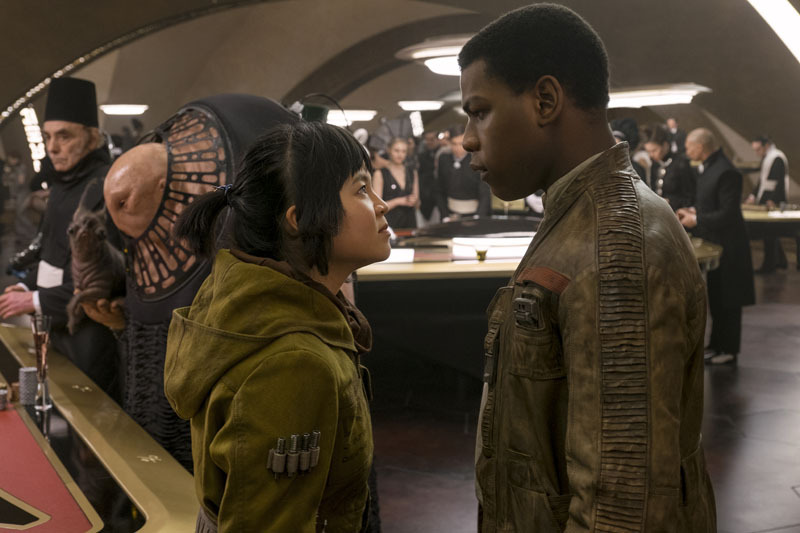 Eventually they meet up with Han’s old friend Lando Calrissian. Both groups are changed forever by their separate adventures just like in GOTGV2. 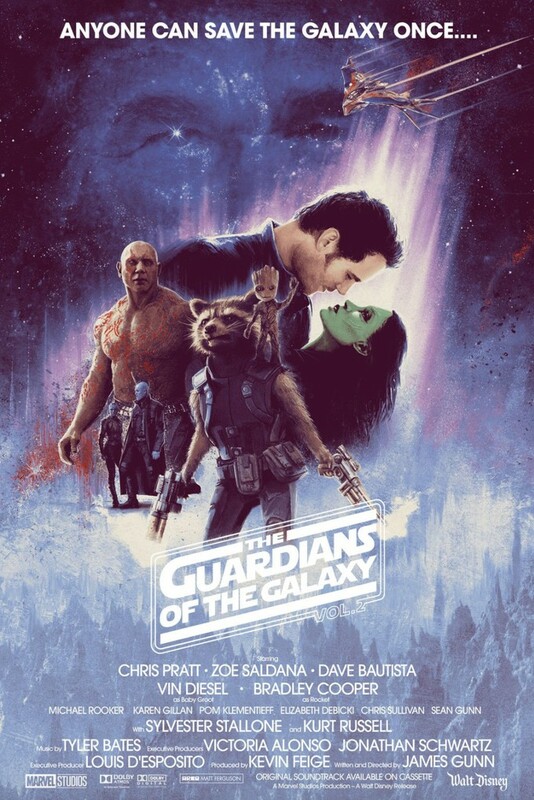 Even though some people have issues with Guardians of the Galaxy, Vol. 2, these critics agree with fans that the second film does a better job of exploring the characters. Writer and director James Gunn took time to delve deeper into what makes the core group and the supporting characters tick. By the time the film finishes we understand the Guardians and their associates much more than in the original film. They are no longer stock character types. Instead, they are more rounded and we know how and why they act and feel like they do. This leaves us with more relatable and believable characters who enhanced our enjoyment of the film. The same thing occurs in The Empire Strikes Back. 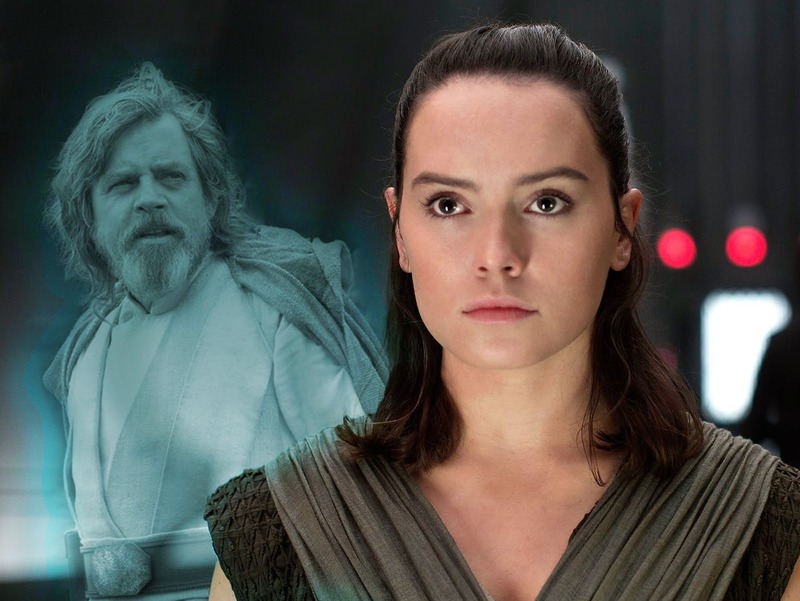 Everyone loves the second Star Wars film for its focus on the characters and making us care more about them. From joining Luke in his painful spiritual journey to understand the Force and the ways of the Jedi, to observing the growing love Han and Leia have for each other. 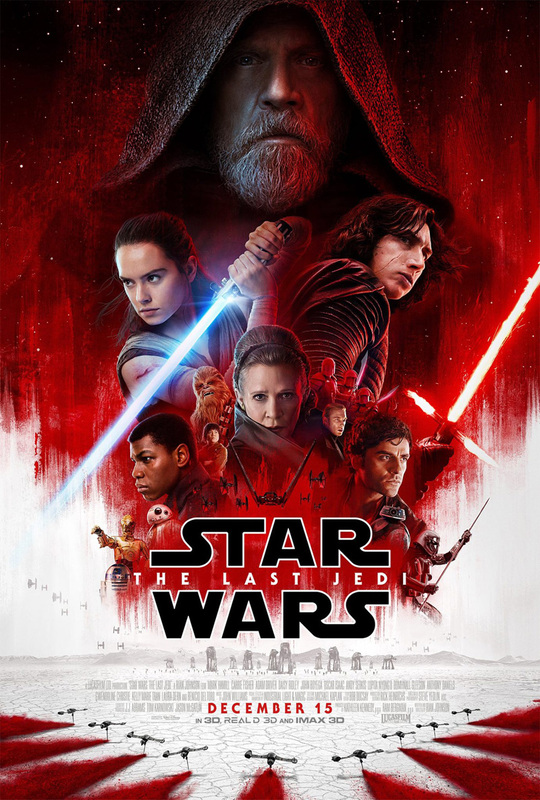 In both films, while the dazzling special effects and sounds are out of this world, what we take away from the viewing experience is our love of the characters. The main character and story arc in GOTGV2 is Peter Quill’s relationship with Ego. Before meeting him, Peter and the audience did not have any idea of who his father was. When the two men meet it’s a joyful reunion as Ego fills in Peter about where he came from. Naturally, Star-Lord is excited to learn that he is a demigod. But sadly, the occasion turns sour when Peter and his friends discover Ego’s true nature and plans. The man is actually a monster who murdered not just his own children, but Peter’s mother. To make matters worse, Ego has plans to massacre countless people throughout the galaxy in order to spread his seeds. 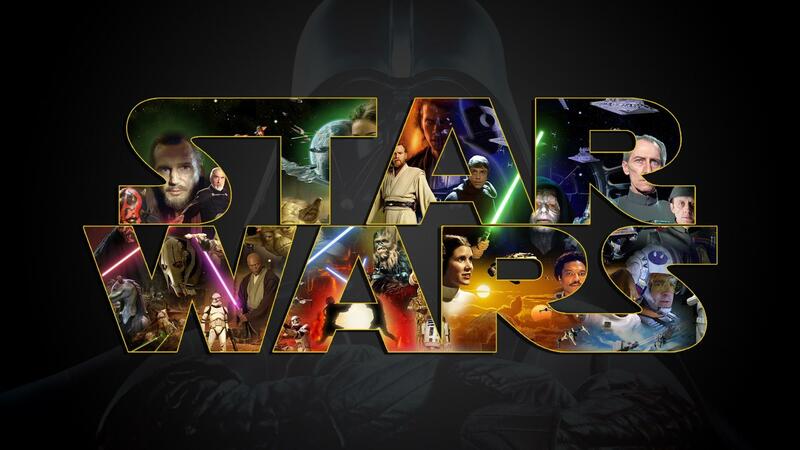 The 40th anniversary of Star Wars is upon us! It is hard to believe that a quirky sci-fi film that went on the change our cultural and celluloid landscape is 40 years old. 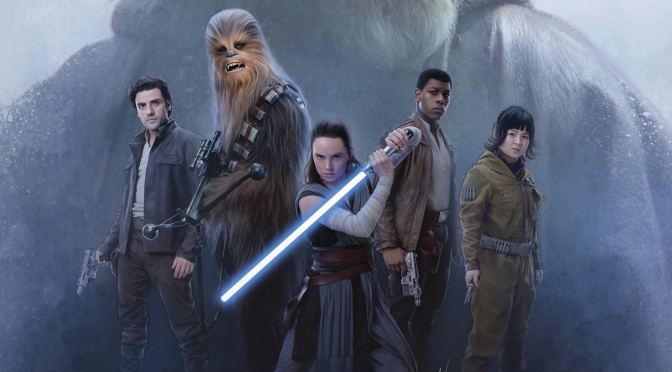 In that time, Star Wars and all the films and TV shows that followed, boasted many important and awe-inspiring moments that continue to resonate with fans throughout our planet. 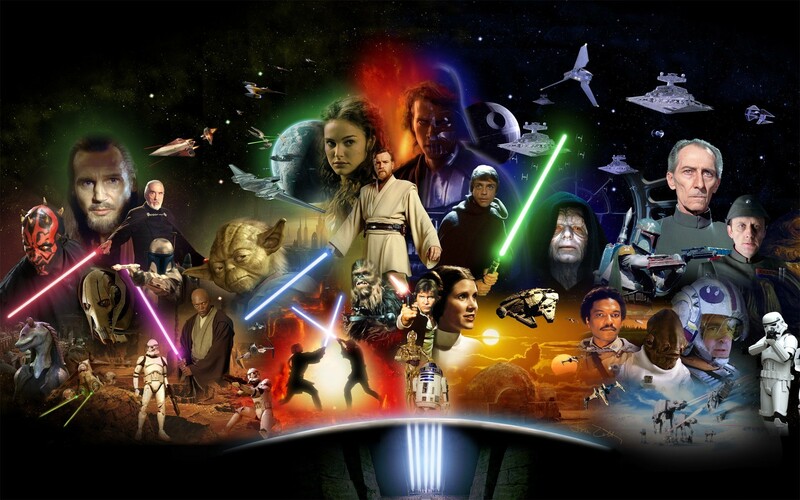 As we celebrate Star Wars’ 40th anniversary let’s look at the series’ greatest moments. 40. 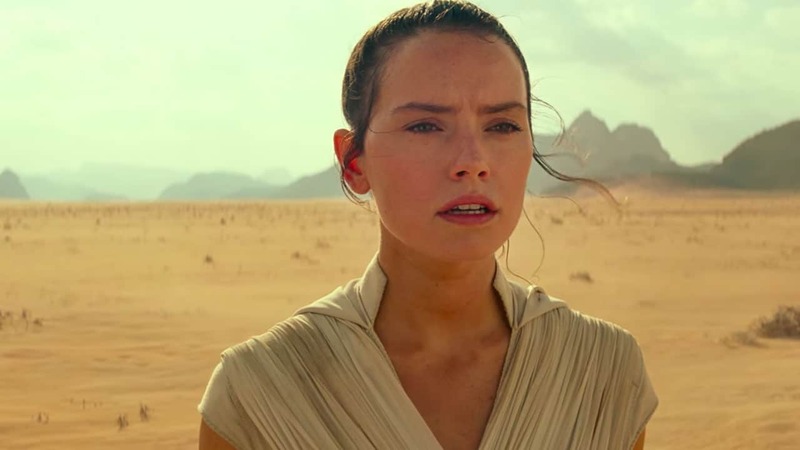 Rey Claims The Lightsaber From Kylo Ren (Star Wars Episode VII: The Force Awakens): Nobody was sure about who was the main hero in the new Star Wars Sequel Trilogy. 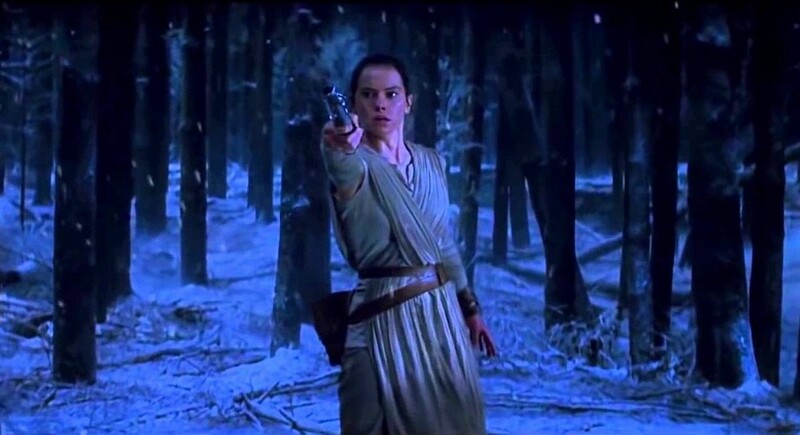 That mystery was solved beyond a doubt when Rey used the Force to claim Luke Skywalker’s lightsaber and battle Kylo Ren. Her eventual victory cemented the fact that she is the best hope for the galaxy. 39. 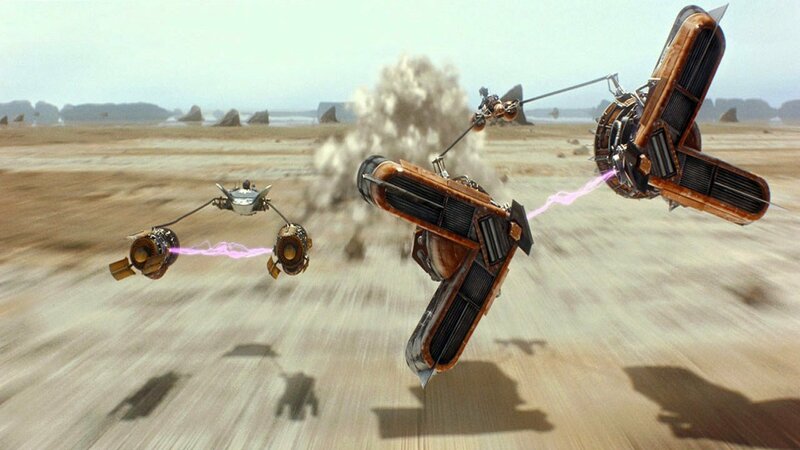 The Pod Race (Star Wars Episode I: The Phantom Menace): As flawed as the first Star Wars prequel was, the exciting and breakneck pod race on Tatooine with all the weird pilots and their distinctive pod vehicles was one of that film’s best moments. 38. 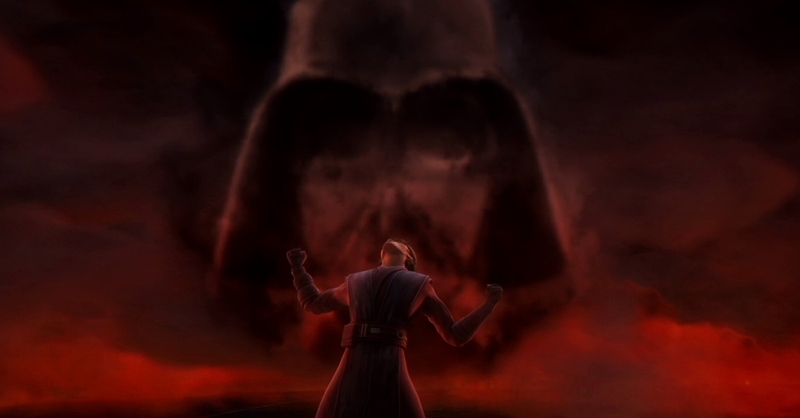 Anakin’s Spiritual Journey on Mortis (Star Wars: The Clone Wars “Ghosts of Mortis”): On a distant world, Anakin Skywalker became corrupted by the dark side of the Force after encountering spiritual embodiments of the Force. Terrifying visions of his rise to Darth Vader highlighted this powerful story arc that better explored his fall from grace than the prequel films. 37. “These Aren’t the Droids You’re Looking For” (Star Wars Episode IV: A New Hope): Forget using the Force to do super acrobatics, wield lightsabers and levitate objects. When Ben Kenobi used a Jedi mind trick against stormtroopers interested in Luke Skywalker’s wanted droids, that scene displayed one of the most powerful aspects of the Force. Honorable mention goes to the bar scene in Episode II where a younger Kenobi tells a drug dealer to go home and rethink his life. 36. Darth Maul’s Final Duel (Star Wars Rebels “Twin Suns”): Darth Maul finally finds his ancient enemy Obi-Wan Kenobi in exile on Tatooine. The older Jedi isn’t interested in fighting Maul until the former Sith apprentice deduces that Kenobi is protecting someone (Luke Skywalker). The resulting lightsaber duel is brutally short and to the point with Maul quickly killed. It may have disappointed those waiting for a drawn-out sword fight, but the scene demonstrated that Kenobi was indeed a master. Plus, it cast Maul in a sympathetic light as he seemed to see the error of his ways in his last breath. 35. Ahsoka Tano Vs. Darth Vader (Star Wars Rebels “Twilight of the Apprentice”): Ever since Anakin’s apprentice Ahsoka left the Jedi Order near the end of The Clone Wars series and reappeared during Star Wars Rebels, fans have wondered how she would react to seeing her former master as a Sith. We got our answer in the second season finale where she faced off against Darth Vader and proved she was his equal. What was more engaging than the duel was her coming to terms with her former master’s fall. 34. 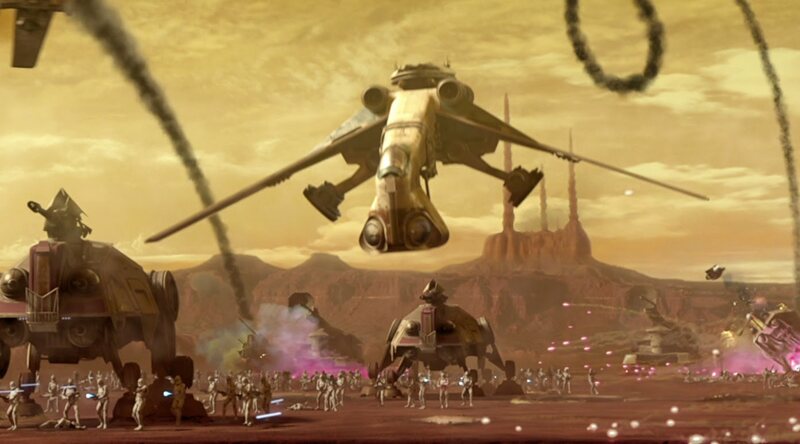 The Battle of Geonosis (Star Wars Episode II: Attack of the Clones): A Jedi force set out to rescue Anakin, Obi-Wan and Senator Padme Amidala from Separatist forces, but they weren’t enough. Enter the new clone army led by Jedi Master Yoda and before you know we witnessed a full-scale and chaotic ground war between clone troopers and droid soldiers. Seeing all the intense blaster fire and wild looking vehicles of all shapes and sizes engaged in battle was a spectacle and for Star Wars that is saying a lot. 33. 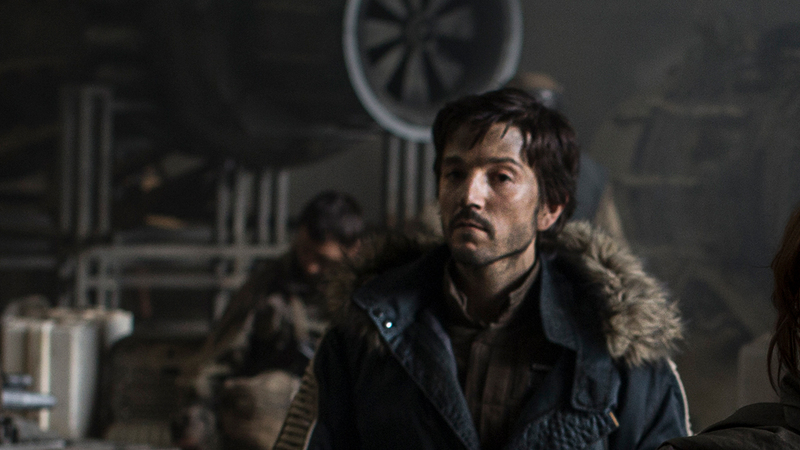 Cassian Andor Murders an Informant (Rogue One: A Star Wars Story): It was a small scene in the first live-action Star Wars spinoff film. Cassian Andor gets vital intel from a Rebel spy who cannot keep up with him as stormtroopers close in on them. Instead of helping his comrade Andor unexpectedly kills him. This cold-blooded act drove home the point that Rogue One was a decidedly dark film that took risks by showcasing this morally gray character who goes to extremes for the Rebellion. 32. 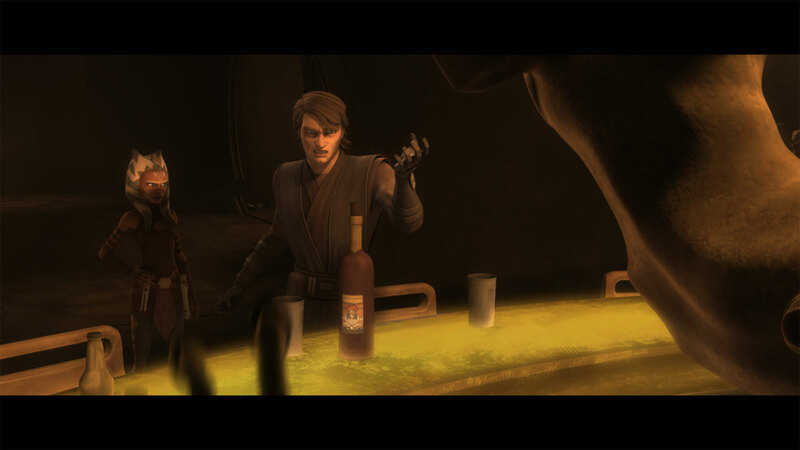 Anakin Pursues Obi-Wan’s Killer (Star Wars: The Clone Wars “Friends and Enemies”): One of the best arcs in the animated series featured Obi-Wan Kenobi faking his death and going undercover with bounty hunters. Anakin, believing his master to be dead, relentlessly pursues Obi-Wan’s killer, who is actually Obi-Wan in disguise. This development was an undeniable a high spot in this tense and captivating story arc.